Please note that we do not take requests or reservations for our outdoor terrace. Garage on 64th Street between Broadway and Central Park West. Columbus Circle and Lincoln Center subway stops are within blocks of the restaurant. Local Broadway bus lines stop directly in front of the restaurant. 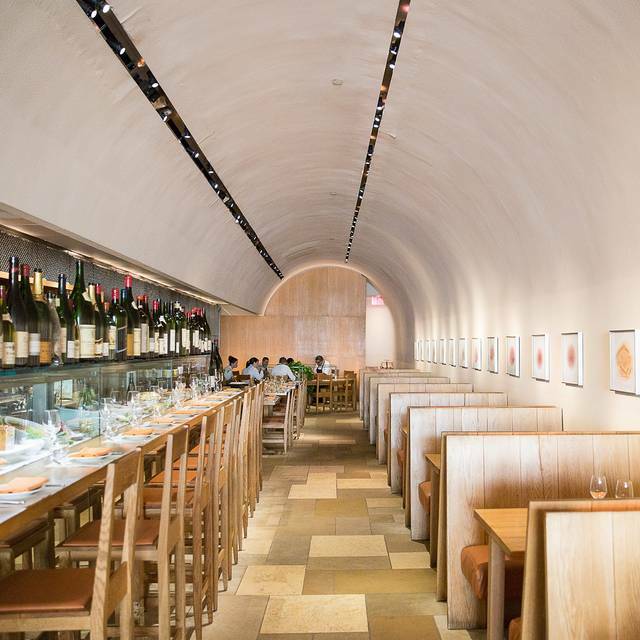 Bar Boulud is Chef Daniel Boulud’s bistro and wine bar located across from New York City's Lincoln Center. 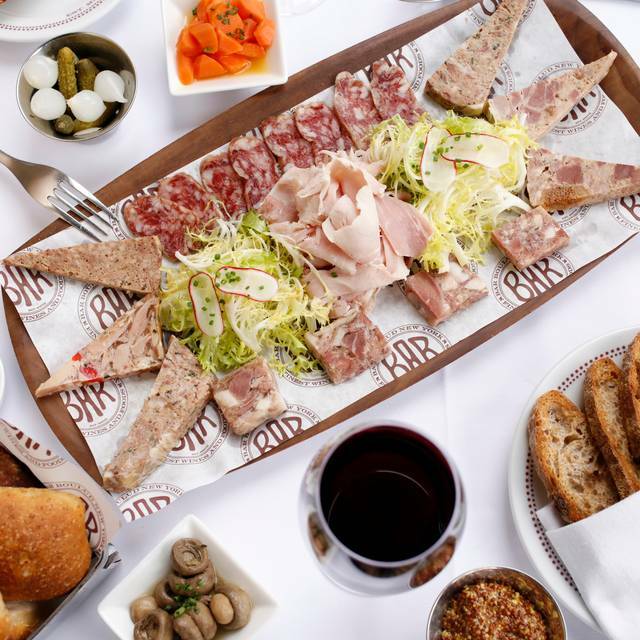 An exquisite array of housemade charcuterie complements sumptuous French cooking for both lunch and dinner. 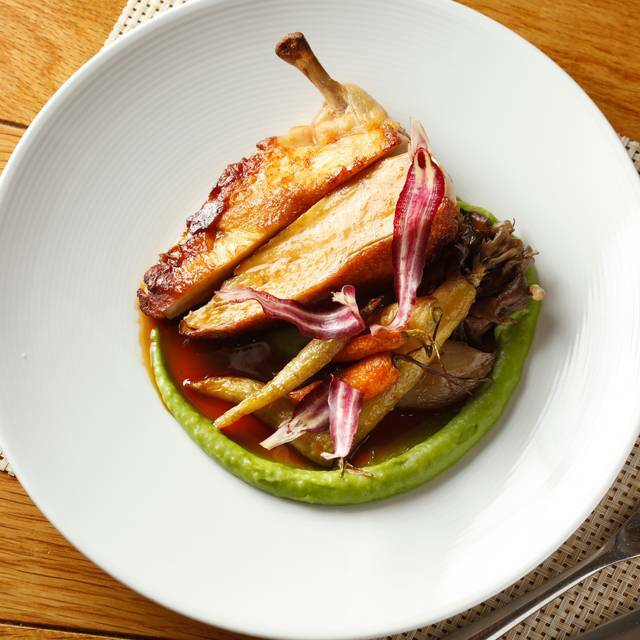 Bar Boulud offers a 3 course price fixe for lunch for $29 and dinner for $48. Outdoor dining is available on the terrace seasonally. Three private wine-themed dining rooms adjacent to the wine cellar are also available for private events. 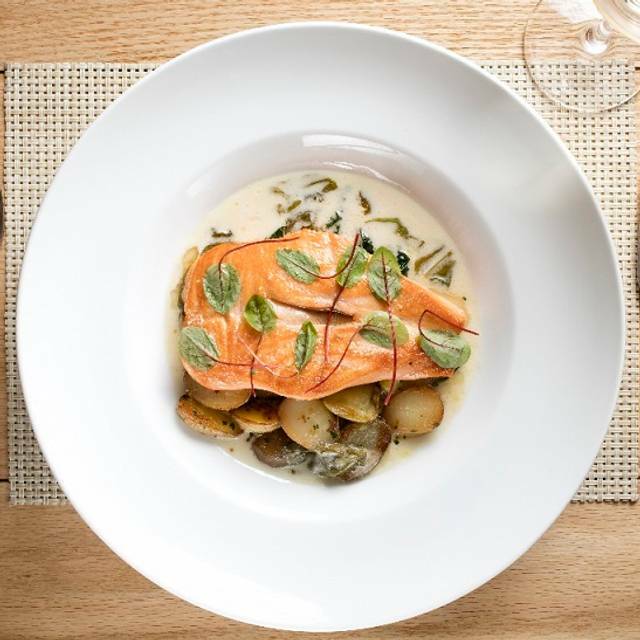 Join us to Celebrate Mother's Day At Bar Boulud! 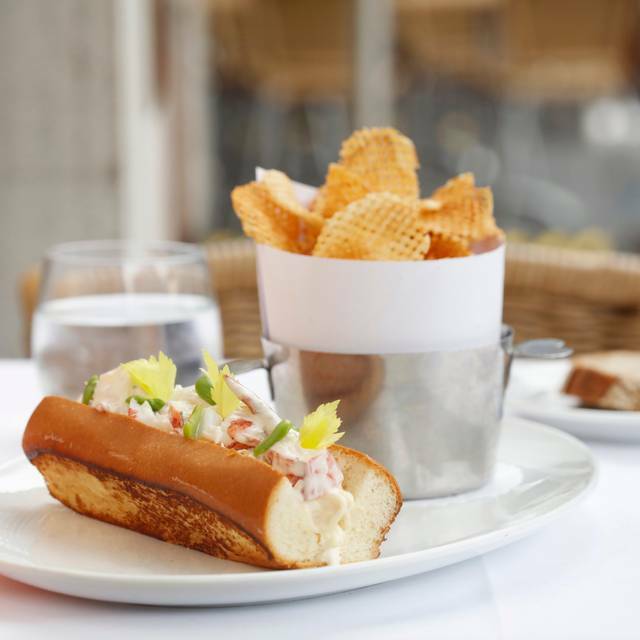 Daniel Boulud's "casual bistro" Bar Boulud is one of the best places to eat near Lincoln Square. excellent in every way!! GO!! Sat outside. Quite a “meh” experience. Food and service were underwhelming. Easter lamb special arrived over cooked the first time and lacking in flavor on round two. The meat portion was also small and certainly not worth the money. The vegetables had a nice flavor but overall, how disappointing for a special meal. A must before the opera. Lovely pre-theatre spot - Attentive staff - Reliable bistro faire. Good for a business meal because it’s quiet. Food is good, though a touch overpriced. Service is great. We had a great time! My husband loves charcuterie and Bar Boulud did not disappoint. The small charcuterie board and cheese board were absolutely delicious! We had an appetizer and finished with a dessert and each was fantastic. The service was also great, and we will return if we are ever in NYC again. Waiter (Vittorio) was a disaster. No bread served until the main courses came, about 45 minutes after we were seated. Got 1 of 4 orders incorrect, leaving the person sitting for 10 minutes while the others ate. Then couldn't divide the bill in half without making a mistake and asking to run through our credit cards a second time, while refusing to provide a cancellation receipt for the first signed charges. Wanted to make it right by offering free desserts when we already said we didn't want any desserts. Brunch with wife on trip to NYC. Mom gave me gift card and used it wisely. Great food! Great menu! Food was ok, nicely presented.. expensive.. but that was easily predicted.. waiter was not freindly at all- we guessed he was real French- we have seen that kind of service in France..we will try new place next time even the location for Opera is unbeatable.. The portions have shrunk regardless of whether we ordered from the price fixe menu or ala carte. Fortunately, the quality is still good. One of the best in NYC. Staff wonderful. Food superb . Perfect pre theatre dining. Always pleased! We ordered the beef tartar and it was generous enough for the 2 of us. We could even have had just this as our main course! So fresh and beautifully presented. I ordered the modules which came in a coconut sauce... Also delicious. Fries accompanied. My companion had a delicious salmon. All in all very pleased. Service was outstanding!!! Bread was offered very generously as well. It is always a vibrant restaurant but on Wednesday it was so noisy I could not hear my dinner companion. In fact the noise level was off putting and distracted the experience of dining in a good restaurant. I am so satisfied with Bar Boulud. This restaurant is run so smoothly, I would give it a 6/5 stars if I could. Had the oysters and the special of the night. The special was outstanding and delicious, would definitely order again. Was never with an empty glass of water and drinks ordered were so fast. You definitely feel valued and taken care of. Definitely one of my favorite dining experiences! Excellent food and excellent service as always. Perfect for dinner before a concert at Lincoln Center. Loved the charcuterie platter and avocado with crab, but my favorite was the Il Flottant. Thanks for moving us to a booth. 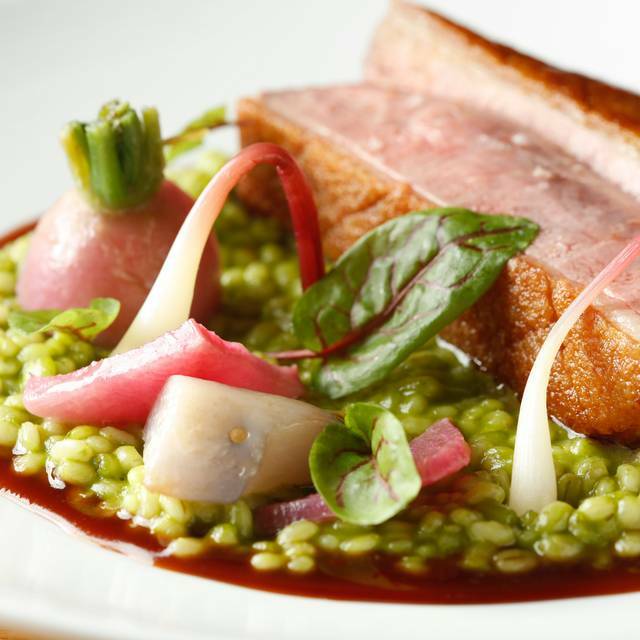 Bar Boulud is a very serviceable restaurant near Lincoln Center. The decor is simple and modern, but lacks some character, and is nothing special. It's unique strength is its charcuterie, a result of its partnership with the famous Veyrot charcutier in Paris. Our party of 4 had the large charcuterie platter, which was varied and excellent. On the other hand, the cassoulet that they feature, with a claim of best in NY, was dried out, tired, and disappointing. Although a cassoulet is generally prepared in advance, it does have a shelf life, and this one may have passed through a refrigerator for an extended period. The lamb navarin was better. Deserts were good. Service was efficient. Greeted warmly. Request for different seating was accommodated. Service attentive but unobtrusive. Food and drinks fabulous! Altogether wonderful experience. The food was amazing and a huge pre fixe meal for before and after the theatre As well as the regular menu- I have been there many times but it was the first time for my friends and they can’t wait to go again ! My favorite boulud restaurant ! The food is consistently delicious. On my last visit I had the Faroe Island salmon on a vegetable jardiniere. The salmon was delicious and the vegetables were exceptionally good. I am looking forward to having this again very soon. The food has deterioratd. Too many ingredients coarsely chopped in my scallop dish. Wine list has moved up in price . Not enough choices in the moderate range. This used to be our go-to restaurant when attending Lincoln Center events. We may need to make a change. Bar Boulud was as pleasant as usual. quite crowded for a Sunday early evening. We took our young adult grandson with us and he also enjoyed it. 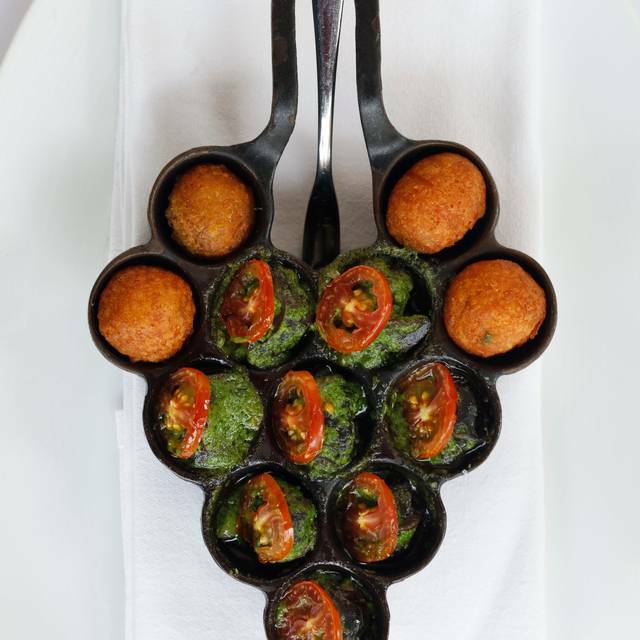 Service is excellent, the food very good and the atmosphere quite lively. 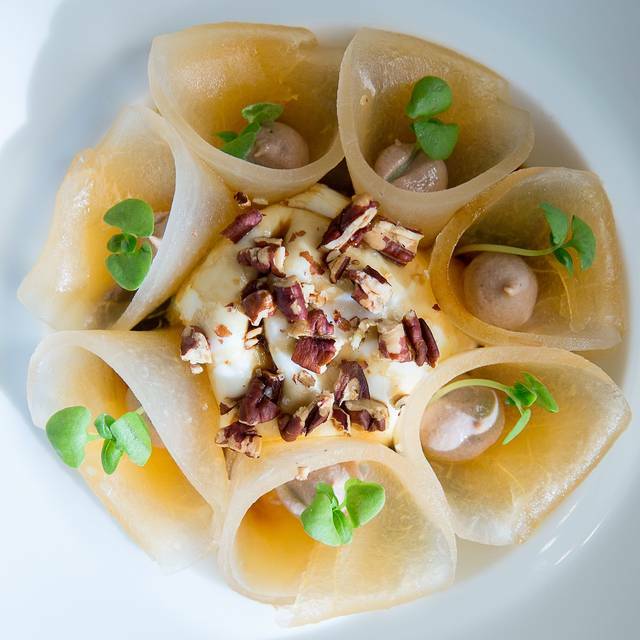 We find Bar Boulud to be an excellent place to go for all sorts of occasions.We had been there only for lunch and will certainly return. I go here often for brunch on Sunday. Excellent food. Wonderful bread. Just two little problems that keep recurring. One typically needs to ask a couple of servers a few times before someone actually brings the bread basket. And it's odd how often the coffee is served only luke warm and needs to be replaced. But the food is great and these two recurring irritations are a minor issue all things considered. Lunch on Sun.Food excellent. Service a little to obtrusive. Noise level horrible. Steak Frites was delicious - well-cooked and good flavor. Service was great. Would definitely come back again! Very pleasant experience. We appreciated the “Happy Anniversary” message written in chocolate on the dessert plate. A nice touch! The cod special was wonderful but mis advertised! The waiter said "snap peas" - there were 3 soggy snow peas on my plate. However everything else was great. The food was incredibly good, and the service was excellent, polite and friendly. It was a very enjoyable experience. Always very good in the past. Last Saturday my husband want to stay outside; I was disappointed by the list of food (basically classic very banal brunch of a Saturday) and the service was below the standard. The waiter was non-professional, but he probably thought he was funny. Bar Boulud was great.Had brunch there before going to see a play at Lincoln Theater. THE BARTENDER COOPER WAS SOOO PERSONABLE AND ENGAGING.CHEERS TO HIM. French cuisine; prompt service; the food was very good but not quite outstanding, at least on this visit. For that reason the prices seemed a bit high, but that may just be NYC standards. Fabulous food, great service, noise level barely tolerable. We always go to Bar Bound before concerts and it is always so enjoyable. The best pates! A small quibble this time. The Halibut special was overcooked. Easy to do with Halibut but it had lost all transparency and was dry. The sauce, the vegetables, the presentation almost made up for it but if we don't tell them, they won't realize what needs improvement . We found it! The quest for the perfect mushroom soup has ended at Bar Boulud. Pres fixe lunch is a buy! Excellent food and service-a tad pricey. Great location across from Lincoln Center. Sadly, the kitchen is uneven. The care in preparation of dishes is no longer there. 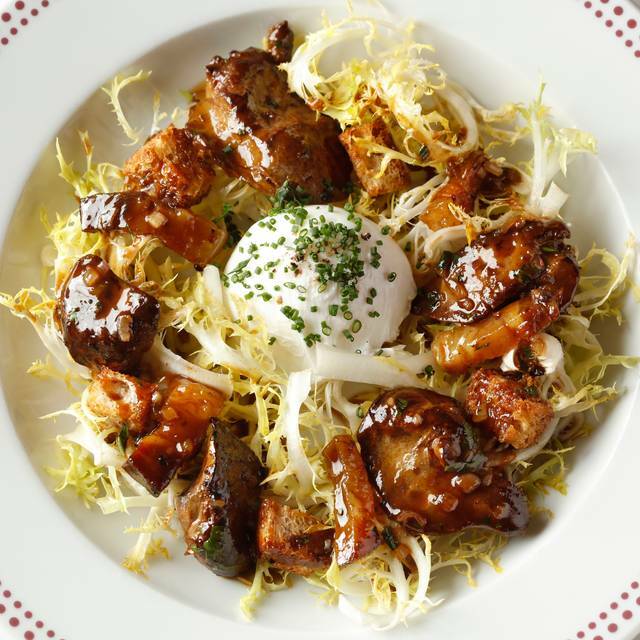 The salad lyonnaise was drenched in a vinaigrette, had little frisée and showed little thought to balancing the other elements. The delicate cheese puffs previously given gratis now cost $6 for four leaden oversized buns whose size is not a plus. The Boulud restaurants are getting sloppy!!!! !